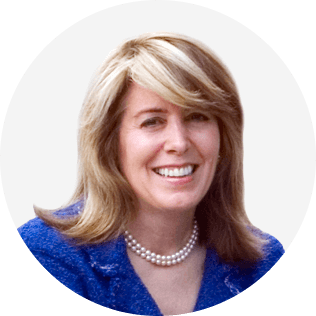 Renée Mauborgne is a Professor of Strategy at INSEAD and Co-Director of the INSEAD Blue Ocean Strategy Institute. She, along with her coauthor W. Chan Kim, are the authors of the international bestseller Blue Ocean Strategy, which is recognized as one of the most iconic and impactful strategy books ever written. Blue Ocean Strategy is a bestseller across five continents and is published in a record-breaking 44 languages. Ask the leader of any established organization, startup, company on Main Street, or entrepreneur if they would they rather compete or create. Hands down there’s hardly an individual who won’t chose create over compete. Today tighter profit margins, rising costs, stagnant or declining sales, and market share battles are hitting industries and organizations across the board, making the need to go beyond competing, inspire confidence and seize new growth more important than ever. But how can you coach executives, entrepreneurs and organizations to achieve this? More than that, how can you, as executive coaches, realize this in your own coaching business? In this session, world-renowned professor Renee Mauborgne will draw on her more than decade of new research in her just released new book, BLUE OCEAN SHIFT, to answer this question. Blue Ocean Shift is the essential follow up to her, and her co-author Chan Kim’s, classic global bestseller, Blue Ocean Strategy. Before even beginning published, Apple iBooks selected BLUE OCEAN SHIFT as the best business book of September 2017. The Financial Times chose it as business book of the month. And it is a finalist for the Thinkers50 Strategy Award 2017. Based on the experiences of organizations across the globe that applied the very tools and process outlined in BLUE OCEAN SHIFT, Mauborgne will outline the proven steps outlined in the book to take your clients, yourself, and any organization beyond competing in existing crowded markets – what Kim and Mauborgne think of as red oceans – to markets devoid of competition – what they refer to as blue oceans, in a way that inspires people’s confidence so that they own and drive the process. In this talk you’ll learn, what works, what doesn’t, and how to avoid the potential pitfalls. This talk is indispensable for any executive coach committed to seizing new growth, inspiring confidence and building a compelling future for their clients and for themselves. Learn the five proven steps to make a blue ocean shift. Gain practical tools, with real-world guidance, to build people’s creative competence as you work with clients to identify and challenge the 2 assumptions they hold that keep them locked in the red ocean and how to overturn them to shift from red to blue oceans. Learn the three tools you can apply to build people’s confidence so that they own and drive the process to seize new growth and create a compelling future. Gain practical tools, with real-world guidance, to build people’s creative competence as you work with clients to identify and challenge the assumptions they hold that keep them locked in the red ocean and how to shift any organization beyond competing to creating.